Most buyers adopting Google Pixel 3 or OnePlus 6T handsets are migrating away from Samsung devices, according to a new study, which indicates efforts to entice Apple fans away from the iOS ecosystem are not paying off. The study, conducted by Counterpoint Research, found more than a third of consumers who bought a Google Pixel 3 or OnePlus 6T in the last three months of 2018 were previous Samsung owners, while overall, more than 80 per cent of sales in the US were to existing Android users. Former Samsung users were especially keen on Google's device, with 51 per cent of new Pixel 3 owners leaving the Korean brand. Almost a third of new Pixel 3 users (31 per cent) were switching from the Samsung Galaxy S7, suggesting that premium buyers reaching the end of typical two-year contracts looked elsewhere rather than upgrading to the brand's latest S9 flagship. One reason for this may be the lower prices offered by the Google and OnePlus smartphones. Maurice Klaehne, research analyst at Counterpoint, noted that when the OnePlus 6T was launched in the US for less than $600 (£548), consumers "flocked to the device". He added: "Consumers who have older devices are looking for alternatives to the flagships that cost more than $800 currently offered." While the research indicated there is clearly an appetite among consumers for more diversity and innovation in the smartphone market, and the two devices were successful in disrupting the established premium category, Counterpoint said the fact the Pixel 3 has failed to win over iOS users is bad news for Google. Jeff Fieldhack, research director at the firm, said: "The Pixel was built to lead Android innovation and be a device to sway the iOS base over to Android. Over 80 per cent of volumes are coming from its Android partners. This is probably seen as a disappointment." However, he added there is much that other device manufacturers can learn from the successes and failures of the Pixel 3 and the OnePlus 6T if they are also looking to disrupt the established order in the smartphone sector. 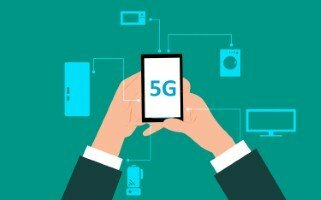 "With 5G at our doorstep, there are additional opportunities to stand out in the market and make a compelling value offering for consumers," Mr Fieldhack stated.